DAVIS, SILVANUS (Sylvanus), land-agent and speculator, coastal trader, militia captain, and commander of Fort Loyal at Falmouth (Portland, Me. ); b. c. 1635; d. 19 April 1703 (o.s.) in Hull (Nantasket, Mass.). Davis’ origins and early history are obscure. From 1659 on he acquired lands in Maine on the Damariscotta, the Kennebec and nearby rivers, and on Casco Bay; his trading activities with the Indians, the settlers, and also the French date from this period. In the early 1680s he moved from the Kennebec to Falmouth, where he was a leading landowner and businessman, operator of a sawmill, a grist-mill, and a store, while carrying on his coastal trade. In 1686 he was made a justice of the peace, and in 1691 he became one of the representatives of Maine in the Massachusetts Council. A militia captain in King Philip’s War, Davis continued his military activities after his move to Falmouth, commanding Fort Loyal, the principal English strong point on Casco Bay; he held this post in 1689 and again in May 1690, when the fort’s new commander withdrew to Boston for aid as a large force of French and Indians under the command of René Robinau de Portneuf and Augustin Le Gardeur de Courtemanche approached. The attack, one of Buade* de Frontenac’s planned strikes against the English colonies, began on 16 May (26 May, n.s.). On 20 May, after a siege of five days, Fort Loyal surrendered; Davis was one of the few to survive the massacre which followed. He was fairly well treated on the long journey to the St Lawrence, and had considerable freedom during his four months in Quebec. He was there throughout the unsuccessful siege by the Phips* expedition, and was one of the prisoners exchanged for Phips’s French captives when the fleet withdrew in October 1690. 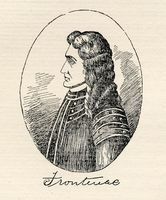 On his return Captain Davis wrote an account of the fall of Fort Loyal, of his conversation with Frontenac, and of his experiences and impressions during the siege. Later in the 1690s he moved to Massachusetts, retaining some of his interests in Maine, and settled finally in Hull, where he remained until his death in 1703. A man of energy and enterprise, ambitious, a shrewd businessman, Davis was also an experienced Indian fighter, a good disciplinarian, and a courageous commander. [“Mass. Archives,” XXXVI, 72, 73. Suffolk County Court House (Boston, Mass. ), Registry of Probate, 2806. Documentary hist. of Maine, IV, 390, 459–63; V, 7, 8, 10, 11, 95–96; VI; VII, 358. “Provincial charter of 1691, October 7, 1691,” in Trans., 1913–14 (Col. Soc. Mass. pub., XVII, Boston, 1915), 35, 38, 39n. Vital records of Hull, Mass. to the year 1850, comp. T. W. Baldwin (Boston, 1911), 65. Valuable evidence of Davis’ contacts with French traders can be found in [Henri Brunet], “Letters of an Acadian trader, 1674–1676” ed. L.-A. Vigneras, New Eng. Q., XIII (March 1940), 98–110. There are a number of contemporary or nearly contemporary accounts of the siege and fall of Fort Loyal, both from French and from English sources. There is some disagreement on details such as the dates, the use by Portneuf of conventional methods of siege warfare, what French and Indian leaders were present, whether or in what manner a pledge of protection was given to the inhabitants when the fort surrendered, and their subsequent treatment. Later historians reflect to some extent these differences in the early sources. A detailed, emotional account from the English side was written by Davis himself after his return from captivity, “Declaration of Sylvanus Davis inhabitant of the town of Falmouth in the province of Maine, in New England, concerning the cruel, treacherous and barbarous management of a war against the English in the eastern parts of New England by the cruel Indians . . . ,” Mass. Hist. Soc. Coll., 3d ser., I (1825), 101–12; see also: Cotton Mather, Magnalia Christi Americana, II, 523–25. For the French version of the attack see Monseignat’s account in AN, Col., C11A, II (printed in Coll. de manuscrits relatifs a la N.-F., I, 498–99 and in NYCD (O’Callaghan and Fernow), IX, 472–73); Monseignat refers to Davis as “Denis.” See also: La Potherie, Histoire (1722), III, 76–81; Le Clercq, First establishment of the faith (Shea), 11, 293ff. ; Charlevoix, History (Shea), II, 132–37. Later accounts include J. T. Hull, The siege and capture of Fort Loyall . . . 1690 (o.s.) (Portland, Me., 1885), 24–67, 69ff. ; Parkman, Count Frontenac and New France (1891), 228–31; Eccles, Frontenac, 225–27. 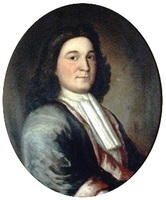 For the fullest treatment of Davis’ experiences as a prisoner in Quebec and the details of his exchange, including his own story, see: 1690, Sir William Phips devant Québec (Myrand). Alice R. Stewart, “DAVIS, SILVANUS,” in Dictionary of Canadian Biography, vol. 2, University of Toronto/Université Laval, 2003–, accessed April 26, 2019, http://www.biographi.ca/en/bio/davis_silvanus_2E.html.